With night blooming & jasmine & vanilla. Rich, creamy lather. Leaves skin gently scented. Dermatologically tested. Suitable for all skin types. Fragrant & calming. 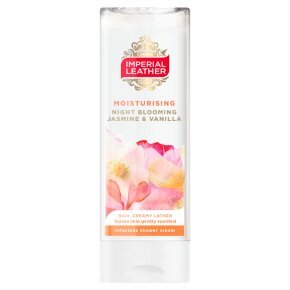 Our Calming Night Blooming Jasmine & Vanilla Shower Cream is infused with expertly blended fragrances which are designed to help calm your mind and body and leave skin gently scented. Together with our rich, creamy lather will leave your skin feeling soft and smooth.